Whenever anyone talks about going to college to pursue a career in their passion we always recommend to them that they minor in business. This is because it does not matter how amazing of an artist you are, or how brilliant you are designing interventions, if you do not understand the business world, or how to market your business, you will find that things can be extremely difficult. Many people who purchase an inflatable moonwalk to start a rental business do not have the slightest idea about business management. Here, will give you a few tips on how to utilize social media giveaways to help build your business substantially. Social media has become one of the only ways to thoroughly advertise your business in today’s highly digital world. This is both good, and bad news for the new business owner. It’s great news because social media is extremely cheap and, if used correctly, can even be a free way for you to get new clientele. It’s bad news, however, because there are very few classes that teach how to use social media. Giveaways are one of the quickest and easiest ways to get more followers on any of your social media sites, but you have to use them correctly or else you run the risk of losing money. To make a giveaway work you need to have something decent to give away and you need to have audience participation. So, for instance, let’s say you want to run a giveaway on your inflatable moonwalk Facebook page. First you’ll need to figure out exactly what you’re going to give away. 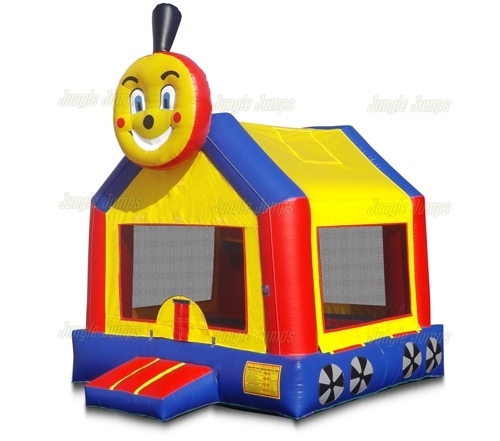 One good option is gift certificate that entitles the client to percentage off a bounce house rental. 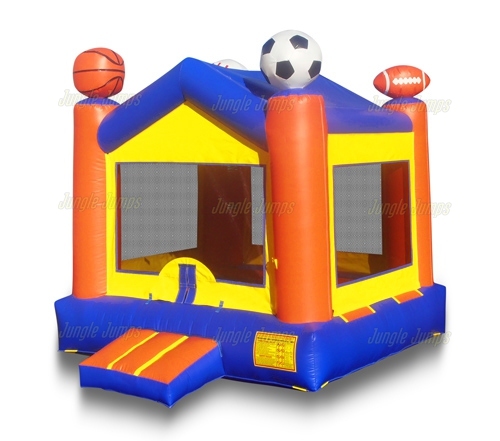 This is great for small giveaways, but if you want to run a giveaway that will truly get you attention you will need to offer something bigger, such as one free bounce house rental. You then have to figure out how you’re going to have the audience participate in the giveaway. One way is by having them send in pictures of themselves, or their children, jumping. They don’t have to be jumping on the bounce house, they can really be jumping off of the chair or off of the ground. Then have everyone on your social media page flow as to which is the best jump. This method not only gets your current followers active on your page, it also gets those who are entered into the contest to ask their friends and family to come over to the page as well which can dramatically increase your followers almost overnight. You’ve decided that it’s time to add a commercial inflatable waterslide to your arsenal of inflatable units but you are not sure how to market it. When people get to know your business for offering a specific type of product it can often be hard to help them realize that you have a brand-new type of product available for their use. 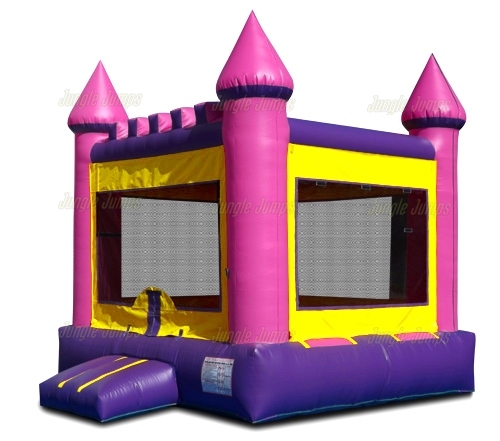 When it comes to bounce house rental businesses the first thing that everyone knows your business for is, of course, bounce houses. How, then, do you help them learn about the brand-new products, like an inflatable waterslide, that you are offering? One of the fastest ways to help your clients know about the new products you have is to offer them for free. Yes, the idea of offering something for free can be extremely scary to most business people but you will find that if it is done correctly you will be able to actually make a great deal of money. So how would you offer the waterslide for free? One option is to hook up with a nonprofit organization that happens to be having a benefit in the near future. Offer to allow them to use your waterslide for free provided that you are able to pass out information about your business at the event. Most nonprofit organizations will jump on a chance to use anything for free, especially if they know it is something that is going to attract people to the event. Another option to get the world to know about your new commercial inflatable waterslide is to blast the information on social media. Social media has become the fastest, and easiest, way to inform clients about all sorts of things, especially new product. Go to your social media sites, like Facebook and Twitter, and post pictures and videos of the new unit in use. Offer a discount for the first 5 or 10 people to rent the unit and before you know it you will have all sorts of calls about people requesting information on your waterslide. Remember: sometimes offering a new item for free, and making a huge deal of it on social media, is the best way to get the world to know about your new products. If there’s one thing that you can expect when it comes to owning your own business is that you need to expect the unexpected. When you own a business that rents out inflatable bouncers, you are going to be owning a business that deals primarily with children, and when you deal with children, as any parent will tell you, expecting the unexpected is definitely a necessity. But what kind of unexpected things can happen when you rent out inflatable bouncers? Let’s say that you’re renting out your bounce houses to five different people on Saturday and three different people on Sunday. You get to the first house on Saturday morning and everything goes smoothly. When you get to the second house on Saturday, however, you find that one of the fuses and the blower’s is broken. This means you’ll need to get it fixed and very quickly. Because he needed to fix the fuse you start running a little behind and you’re a few minutes late for the third delivery. Unfortunately the third delivery does not go smoothly because there is not enough clearance for the bounce house that was rented. This means that you are two hours late for the last delivery and have to deal with a very unhappy customer. This is definitely a good example of how unexpected things can make your delivery days run nowhere near as smoothly as they should. When you rent out inflatable bouncers, anything can, and will, happen. The more prepared you are, the smoother things will go. For instance it makes sense to have some extra fuses stored in your trailer at all times. This will allow you to fix the fuse, should something go wrong, without having to first locate a hardware store. Having things like duct tape, patches, and extra extension cords are also a good idea so that you do not have to go scrambling for them should you find that you need them. There are definitely plenty of things that can go wrong when you own a business that rents out inflatable bouncers, but if you think about everything that could possibly go wrong and do your best to prepare ahead of time you will find that not only will your deliveries go a lot smoother, you will have customers who are very impressed with how prepared you are which will make your business see more reliable and will increase your business a huge amount. Do you know what the differences between the owner of a business that succeeds and the owner of a business that fails? There are a lot of things that may be different about the two of them, but almost always the person who owns the business that succeeds generally knows how to delegate. Any good business owner recognizes the fact that no one is perfect and everything. For instance you may be great up marketing, but you may be horrible with speaking directly to clients. Knowing what you are good at, and what you are not good at, is extremely important when you are renting out commercial inflatables. It is a good idea to make sure that you recognize what your weak points are, just as you should know what your strong points are as well. One common mistake we see owners of commercial inflatable units make is to take, and use, bad pictures and videos of their commercial units. Remember the old saying a picture is worth 1000 words? That saying is definitely true. If you post a bad photo of your jump units, people are going to believe that all of your units are shabby and falling apart. If, however, you post high quality photos of your units then your potential clients will be much more interested in talking with you as they will truly get the opportunity to see how gorgeous your bounce units are. The problem is that most of us are not wonderful photographers. To be a great photographer takes a good eye, a steady hand, and a decent camera. 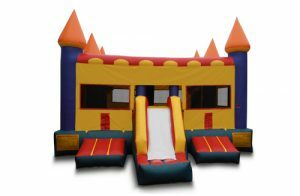 Taking a photo of your bounce house units with a point-and-shoot camera may work, but it is definitely not going to give you the type of high quality, high definition photos that your potential clients are going to want to see. If you’re not photographer, it may be a good idea to hire a photographer to take great photos of your bounce units set up. You may be worrying about the cost – don’t. 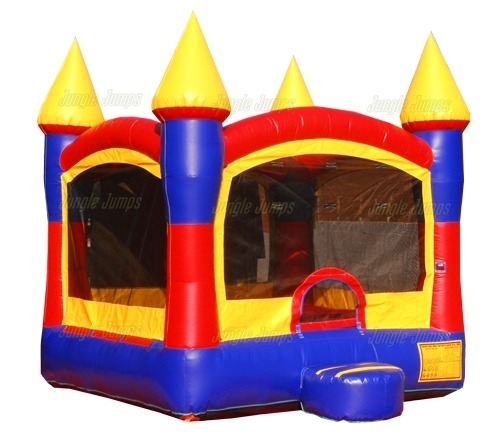 You need to remember that you have something to barter – your bounce house units! You might be able to make a deal with a local photographer to allow them to use your bounce house units a specific amount of times in exchange for taking excellent photos of your commercial inflatables.